Southern Kings coach Deon Davids on Thursday announced the side’s team captain for the upcoming Vodacom Super Rugby season. With a long list of capable leaders at his disposal, Davids named the experienced and respected prop Schalk Ferreira as the captain for 2017. The 33-year-old Ferreira is one of the most senior players in Davids’ squad, having been an integral part of the Southern Kings since the team’s debut season in 2013. Ferreira comes with a wealth of experience after having amassed a total of 42 Vodacom Super Rugby caps since making his debut for the Stormers in 2007. The prop has previously featured for French club, Toulouse, between 2013 and 2015. He also represented the SA Schools team in 2001, SA under-19 and under-21 sides in 2003 and 2004, and also gained a cap in a World XV side in 2014. “He worked extremely hard during the off-season and was a good example for young and old players. He stood out as a natural leader on and off the field during our pre-season. He is well-respected and accepted as a leader among the coaching staff and players,” Davids continued to sing his captain’s praises. The new captain expressed his excitement at leading the Southern Kings in the new season. 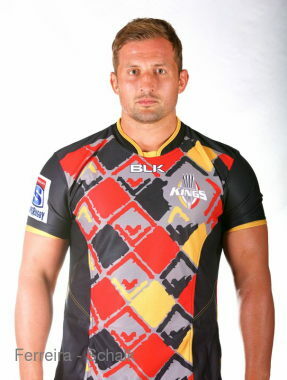 “It is always an honour and a pleasure to represent the Southern Kings. Now to be given the responsibility of leading as captain is an added honour – one I carry with great pride,” Ferreira said. The Southern Kings begin their Vodacom Super Rugby clash with an encounter against Argentinean side, the Jaguares, on 25 February 2017.